Two years ago, college dropout Deepak Ravindran, who developed an SMS-based search product, was invited to present it at the Red Herring Global 100, an international event that showcases innovative start-ups. But the trip cost around Rs2 lakh, which he could not afford. He made it, after all, with financial help from Infosys co-founder Kris Gopalakrishnan. “Kris told me, ‘When you come back, bring an award for India’,” he says. He did, and it changed his life. He was invited to speak at the Mobile World Conference in Barcelona, and at a TED Conference. At the NASSCOM Emerge 50 Awards, he met Seed Fund investor Mahesh Murthy, who later invested nearly $3 million (Rs18 crore) in his start-up, Innoz Technologies. Innoz closed 2012/13 with revenues of Rs 13 crore. Ravindran is an example of how gatherings help start-up entrepreneurs multiply their opportunities to build product prototypes, present ideas, and meet peers and investors. “There is a huge amount of interest from people who want to start up,” says Ashish Sinha, founder of NextBigWhat, an online platform for small businesses. Sinha organises the start-up launch pad event Unpluggd. The number of applications was up from 200 for the first Unpluggd in 2009 to 715 for the seventh, held in Bangalore in early June. So far, 45 start-ups have raised a total of around $70 million after launching products at Unpluggd. The number of events has grown. 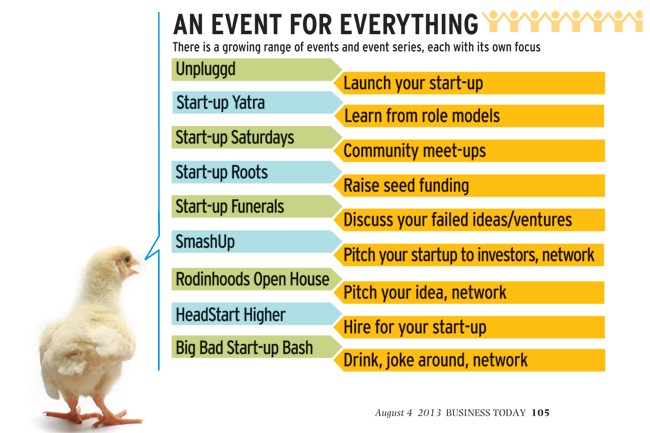 There are small gatherings and bigticket events such as NASSCOM’s Product Enclave or The Indus Entrepreneur’s TiECon. The world of an entrepreneur, usually lonely, has become more connected. Encouraged by the response to his entrepreneurship blog, Rodinhood. 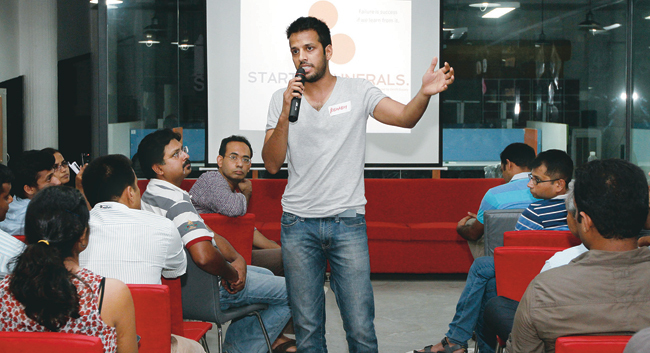 com, Alok Kejriwal, founder and CEO of gaming portal Games2Win, started Rodinhoods Open House, a real-life event. Its “I have an idea” sessions give eight to 10 people the chance to present their business ideas to an audience of over 200 people. Entrepreneurs are invited to talk on themes such as ‘Celebrating failure’. TIE, one of India’s largest entrepreneur networks, holds more than 40 events a year in Delhi alone. This year, it is planning 100 events. “Volunteering is tough, but if we can dedicate an hour a day for this cause, we can make it happen,” says Rajeev Ranka, a student at IIT Bombay who volunteers for Weekend Ventures, an event series launched last year by Rajesh Mane, a Masters student at the London School of Economics and Political Science, at the IITs and IIMs. 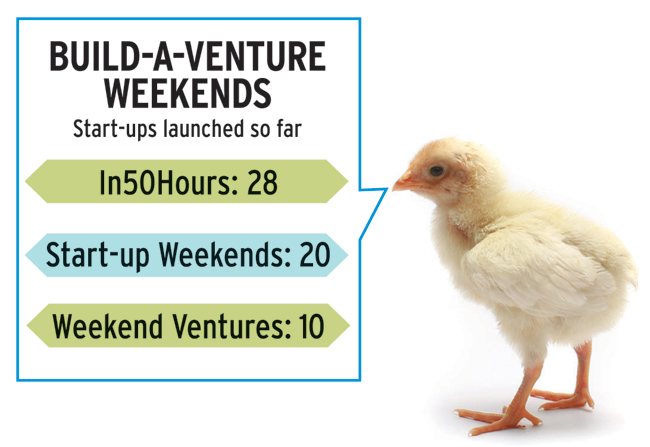 So far, 54 prototypes have been launched at eight Weekend Ventures, and six start-ups have raised a total of Rs50 lakh. Large, branded events cost a couple of crores, with delegates paying entry fees of up to Rs6,000, while small gatherings of 40 to 50 people cost about Rs1 lakh, and entry fees are sometimes as low as Rs100. 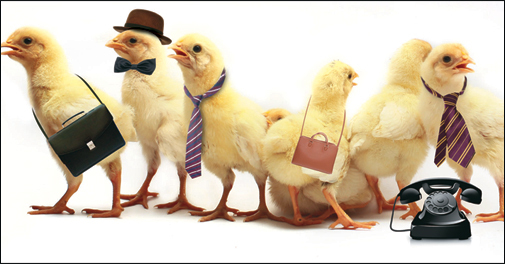 Increasing support from the local community of entrepreneurs has helped reduce costs. “People offer their own space for meet-ups,” says Vijay Anand who organises In50Hours, an event at which people form teams to build prototypes. In 2011, fifteen prototypes were built at such events, and in 2012, the number shot up to 280. Informal meetups can help early-stage entrepreneurs meet people on the same plane, says Arpit Agarwal, cofounder and Director at the volunteer-driven HeadStart Network, which organises Start-up Saturdays every month in several cities. Technology industry body NASSCOM launched its 10,000 Startups programme this year. The goal is to incubate 10,000 technology startups in 10 years. It has already got 4,000 applications and held 50 events. 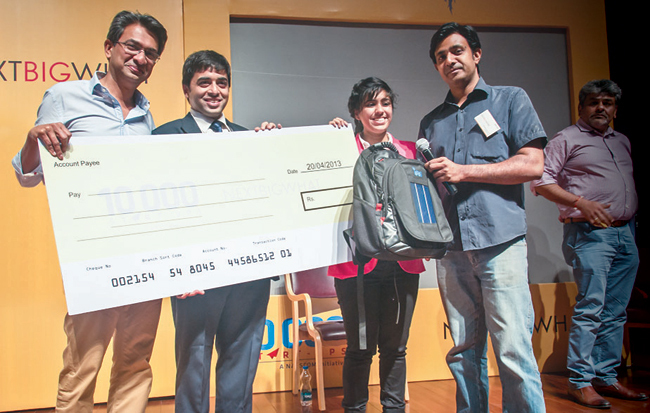 At Start-up Roots, the first small event held in Bangalore recently, the audience of about 300 learned about negotiating with angel investors in reality-show fashion, and four start-ups came away with a total of Rs1.8 crore. 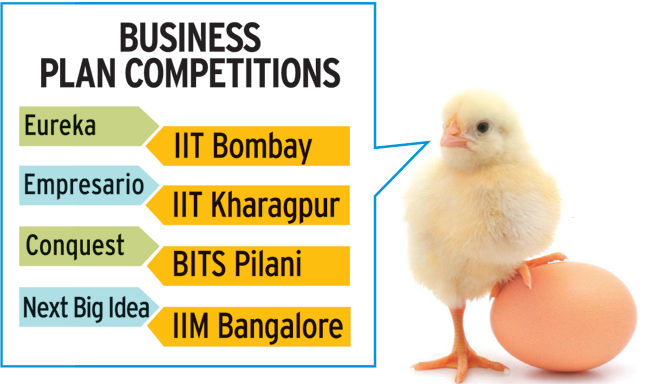 Business plan competitions such as IIT Bombay’s Eureka and BITS Pilani’s Conquest are seeking ways to become more meaningful. “Most contestants were just interested in the prize money … plans remained ideas only,” says Suvonil Chatterjee, CEO of Conquest 2013, to be held in Delhi this year. Con-quest is now a multi-city platform for start-ups to present business ideas and participate in mentoring sessions. Not all meet-ups are serious. At the Big Bad Start-up Bash, hosted by start-up accelerator 91Springboard, entrepreneurs pay a Rs250 entry fee for the chance to shoot the breeze with peers over drinks.